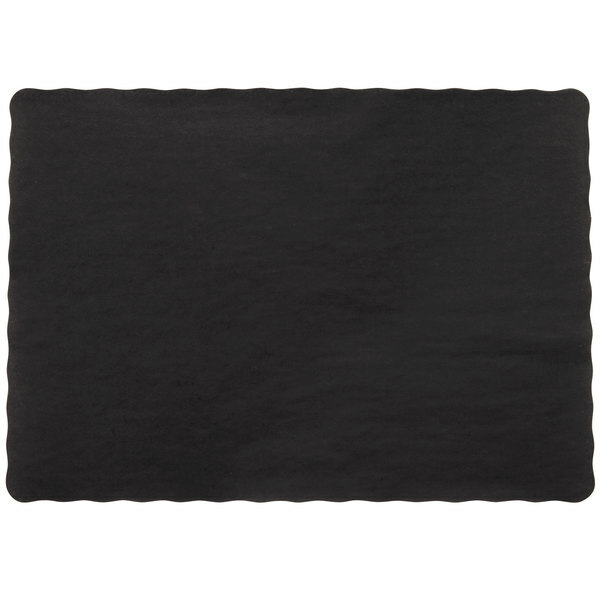 Create a clean and stylish dining environment for your patrons with this 10" x 14" black colored paper placemat with scalloped edge. Not only will it add a contemporary feel to your dining area, it will also create a sanitary, individual surface for your guests to enjoy a meal on. Plus, it can easily be laid on tables or a bar. Made from durable paper, this placemat makes setting tables simple. Match any party or restaurant theme by mixing and matching this versatile placemat with other colored disposables. Your table presentation will look clean and finished with the addition of this placement at each place setting. Also, guests will feel comfortable at the table with this placemat because it is the perfect size for an individualized place setting. It also helps to protect tables from spills and messes. When your guests have finished eating, it is conveniently disposable easy clean up. The tavern has to be your best customer when it comes to buying these black placements, ordering large quantities at a time. They look great on our tables and compliment any color napkin. 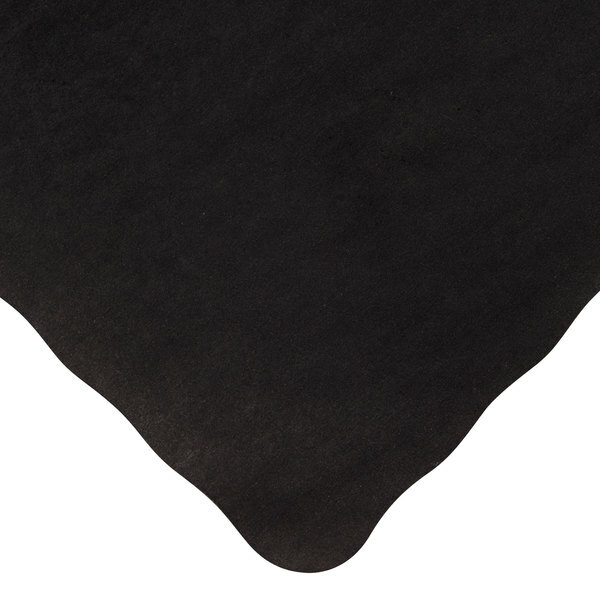 The black colored placemat is great and very nice for our catering events. The black is great for our evening events are a very elegant. A nice touch to the tables. These, like their white counterpart, are very basic. They do the job and then are tossed. They look nice but are noticeably made of paper. These placemats are great and makes cleaning up quick since they are disposable, they come in a variety of colors so you can buy a couple boxes and change up from time to time, much cheaper than tablecloths. 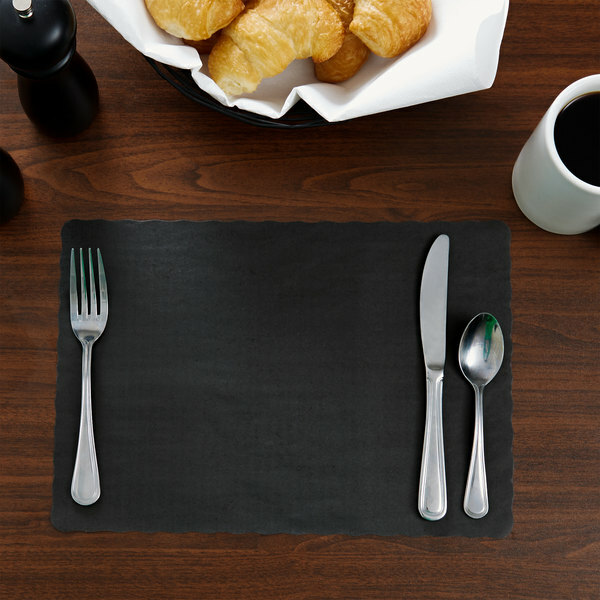 nice and lightweight placemats! Nice dark black color is sure to make plates stand out! Easy to clean as they are thin. Great for banquet events!! !